The rain has returned, raking down with it the thick humidity hanging in the air. After days of waiting patiently for release from captivity, all of the tiny drops suddenly coalesced into sheets, producing a veritable deluge of water rushing down to the ground and bouncing off the streets. The initial water-to-hot-pavement contact produced steam, but after a few moments, the temperature plummeted again by more than twenty degrees. Suddenly I began to see the unity in and of all things. Over the course of this short period of time, I began to drift back a bit closer toward the thought of Thales once again. 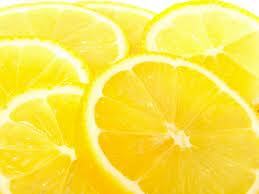 Water represents relief, but so does fragrance on unbearably hot days when I look forward to nothing more than returning to my humble abode to rip off all of my clothes, toss them to the floor and spritz myself with a cool and refreshing citrus cologne before grabbing an iced tea or lemonade. Refreshed at last, I begin to ponder whether Thales may have been right after all. Perhaps the contraries posited by Anaximander and the theory of condensation and rarefaction proposed by Anaximenes do not really explain the true nature of reality. How to resolve all of these conflicting theories? I seem to be pulled in opposite directions depending upon apparently irrelevant factors such as my current state of mind directly affected by the ambient weather conditions. How to decide whether the views of Thales or Heraclitus or Anaximander and Anaximenes are right? If Thales is right, does this not imply that Heraclitus is wrong? Or are they really in conflict? Perhaps these seeming conflicts can be resolved? One pre-Socratic philosopher above all, Parmenides, was concerned to find a satisfactory solution to what has come to be known as “the problem of the one and the many.” Parmenides may have been the ultimate “completist,” to invoke a euphemism for what most people regard as obsessive compulsive disorder (OCD), which is one of the reasons why I firmly believe that, in addition to having been a philosopher, he was a perfumista, too. 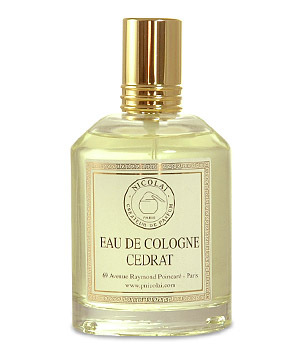 The problem of the one and the many has many analogues in the world of perfume. Flanker madness is nothing if not a graphic illustration of the problem. 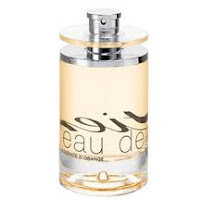 There is a perfume, and suddenly there are many others, bearing some version of the same name, housed in a similar if not the same vessel, and marketed as though they were all natural extensions of their namesake. Are Angel and the Jardin d'Etoiles series—Le Lys, La Violette, La Rose, and La Pivoine—really distinct perfumes? 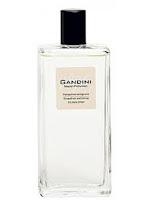 Or are these flankers not bound essentially to the first in the series, Angel, through the use of many of the same ingredients which were present in the original perfume? What is, is, and what is not, is not. To some, perhaps many people, this sounds like an empty tautology. It has no content and does not appear to have any implications for the world in which we live. How could a person who espouses this as his philosophy be considered a great thinker? you may with good reason ask. The key to understanding the wisdom of Parmenides is found in the world of perfume, my fragrant friends, although it is true that historians up until now have not recognized this fact. Let us consider, therefore, what Parmenides would have said about some of today's perfumes. 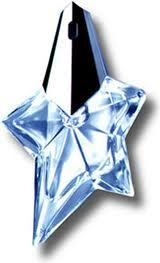 Consider, again, the case of Thierry Mugler Angel. Before Angel was created in 1992 by Olivier Cresp and Yves de Chirin, Angel did not exist. There was no Angel, and then suddenly there was Angel. Where there was nothing, suddenly there was an iconic perfume, reviled by some, but loved by enough others to spawn a veritable flood of post-Angel perfumes all of which remind us of the one, the only, the original Angel. Sweet patchouli fragrances now abound where before there were none. 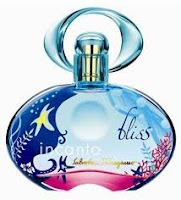 In fact, the launch of every such iconic and tattoo perfume in the history of perfumery has involved the generation of something out of nothing, because it is through the act of naming that new objects are created. What is Angel, in reality? Broken down into its constituent parts, Angel is a perfume made up of a variety of substances each of which has been delineated, too, as a separate substance through the act of naming by human beings. 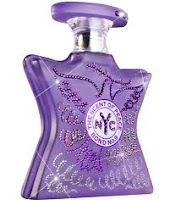 “Angel clones” is a category according to some people, and there certainly have been literal knock-offs, which are sold in drugstores and explicitly claim on their packaging that “If you like Angel, then you'll like X.” But most so-called Angel clones are really just sweet patchouli perfumes with some caramel and maybe some chocolate and usually devoid of the difficult to stomach, garbage pizza-like aspects of the original perfume. For the most part, accusations of perfume plagiarism—of perfumers allegedly attempting consciously to imitate a wildly successful perfume—seem to me to be a lot of hot air. It seems far more likely to me that combinations of notes begin to gain an appeal to both wearers and perfumers situated in a particular historical and cultural context. Sweet patchouli was a good idea, and many people, perfumers and perfume wearers alike, have agreed on this question since 1992. 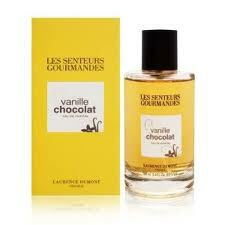 Perfumers are not, it seems to me, generally speaking, in the business of copying other perfumers' perfumes. They are interested in creating perfumes. Industrial chemists, on the other hand, may well sit around their gas chromatographs attempting to deduce the ingredients in a sample so that they can produce a literal knock-off. Are some modern perfumers really industrial chemists in disguise? Perhaps. So what does any of this have to do with Parmenides' tautology, What is, is? According to Parmenides, logic tightly constrains reality so that something cannot both be and not be at the same time and in the same way. 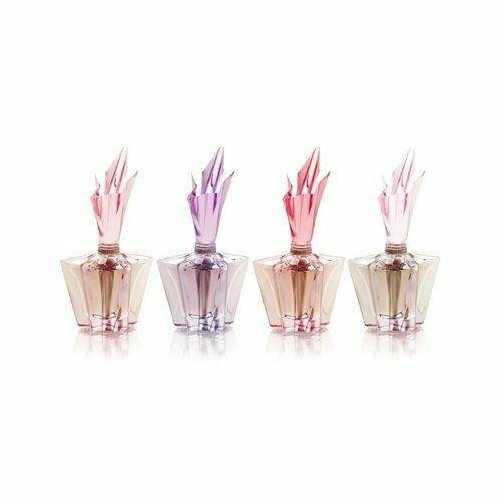 How can Angel-esque perfumes be like Angel but also be not like Angel? The answer to this puzzle, according to perfumista Parmenides, is that all of the differences of which we assert the existence upon naming this or that thing are illusory. Reality, for Parmenides, is monolithic and unchanging. 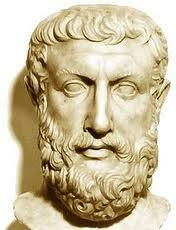 In effect, Parmenides held the opposite view from that of Heraclitus, who maintained that everything is in flux. In order to assert the reality of all of the many things which we apparently create by conferring names upon them, we would have to possess formidable powers, indeed, Godlike powers, because we would need to be able to create something out of nothing. But how could this be? How could a non-thing become a thing simply through our attachment of a name to it? This was Parmenides' concern. Perhaps another illustration from perfumery is needed. We currently have a favorite group of categories of perfume: floral chypre, floriental, fruity floral, aromatic fougère, citrus cologne, oriental vanilla, and so on. Do any of these categories of perfume exist in reality? Or are not these simply useful ways for us to make sense of our experience? Consider the recently invented categories of sweet laundry scents, shampoo and conditioner frags, or one of my own device: the SSRI perfume. What is an SSRI perfume? you may most reasonably inquire. 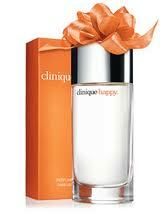 I believe that Clinique Happy was intended by its creators to be just such an SSRI perfume, but unfortunately it conflicts with many a wearer's physiology to such an extent that some have observed, including one of my sisters, that it should really be called “Unhappy” or even “Miserable”. Interestingly enough, the effect that donning Happy has upon some people may be not unlike the abrupt withdrawal from SSRIs by people who have become habituated to those drugs. Hide the guns. Please. So what is the point here? I myself, sherapop, have christened a group of perfumes by the name SSRI. I just made this name up. Thanks to the powerful pharmaceutical lobby, millions of people are on SSRI drugs these days (selective serotonin reuptake inhibitors), so I decided that this label could be applied equally well to a category of perfumes with similar “don't worry, be happy”-making effects to those of Prozac and the other SSRI drugs in which many modern people's brains are now awash. How can I, a single person in the vast cosmos, create new things in reality simply by attaching a label to them? Parmenides' answer is: I cannot. I may speak of all of these apparently different categories of perfume delineated by terms either borrowed from others just like me or made up by me, but we are all talking only about the realm of becoming, not the realm of being, which is immutable, eternal, and the essence of reality. Now, you may say, You, sherapop, cannot invent things by naming them in some arbitrary way, but some things really do exist, for example, chypre perfumes. Not so fast, my insufficiently caffeinated imaginary friend and interlocutor. Are you aware of the provenance of the term chypre? Yes, it derives from a perfume of that name launched by the house of Coty nearly a century ago, back in 1917. A single person named that perfume. 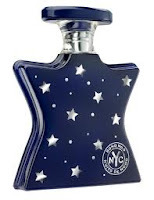 A person just like you or me, and later that name was appropriated by some other single person to designate what was taken to be a category of perfumes. One person named each of these things, the original perfume and the category, but the name caught on, and the rest is history. 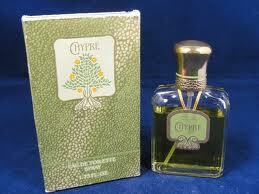 Now we do truly believe in the existence of chypre perfumes. In the beginning, however, they were really no different from my SSRI perfumes, created by the slapping of a label on a group of diverse things by a single person. In the case of the perfume, a group of diverse ingredients were put together in a single bottle and this was labeled Chypre. In the case of the category, a group of diverse perfumes were set out together on a table (metaphorically), and this group was labeled chypre. What is really real? All is one. There is only one real thing, and that thing is being, according to the very first ontologist in the written history of Western philosophy, Parmenides. We flail about desperately in the realm of becoming, distracting ourselves from the truth, which is unitary and does not admit of division or change. It is also ineffable, so we cannot literally talk about anything, including Parmenides' theory of reality, as paradoxical as that may seem. I realize that such a theory may sound a bit crazy, but I think that if one reflects upon the creation act involved in the launch of new perfumes, one can at least gesture toward and perhaps even approach the truth of what Parmenides was trying to convey. Why should a mixture of a bunch of different chemicals, upon which a label, Angel, is slapped, suddenly be said to exist as a separate thing in reality? That is the question, my fragrant friends. at the same time and in the same way (where p = any property). 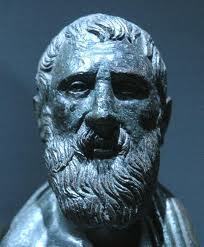 The reason why we know about Parmenides more than two thousand years after he passed away is because he managed to persuade a few people of the wisdom of his views, including not only Plato, whose theory of the Forms (which will be treated in a future episode of The History of Philosophy Refracted Through Perfume), but also his pupil Zeno. Zeno, an avid acolyte of Parmenides, is best known for what has come to be referred to as Zeno's paradox, which has a few different popular expressions, but the perfume version of which has unfortunately been suppressed. So let us fill in the gaps in the historical record by here sketching out how Zeno's paradox might play out in the case of perfume. Consider a full bottle of perfume. 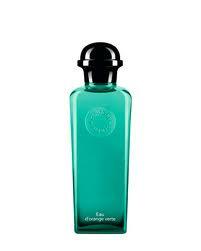 A nice, big 100ml bottle, sealed, pristine, and ready to spritz for the very first time. Let us pretend for a moment that we are decanters, as lamentable as that would be. 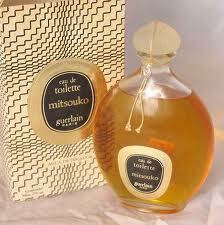 We wish to pipette our beautiful bottle of vintage Mitsouko perfume into aliquots to sell to our anxious customers ready and willing to pay the price of a bottle for the privilege of sniffing even a tiny sample of this iconic perfume, in all likelihood obtained through ebay from a hawk who may or may not have any scruples about selling fakes and diluted perfumes. But so long as perfumistas refrain from thinking about all of this, we, the decanters who make the final sale, will be in fine financial form. We know that in the aftermath of the tragic reformulation of this once great perfume, people will be clamoring to get their nose on what we've got hidden in our vault. What to do? We wish to divide our volume of perfume into the smallest possible aliquots, so as to maximize our profit from this bottle. We paid $50, but as Zeno's paradox will demonstrate, we can squeeze an infinite amount of money from this bottle as follows. Imagine an initial aliquot of, say, 5 mls. We could divvy up our bottle into twenty such aliquots and charge $20 for each, giving us a grand total of $400 or a profit of $350, that is, 700%. But why stop there? 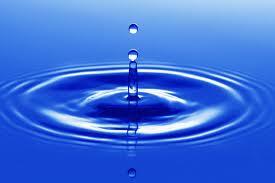 Why not divide each of those 5 ml aliquots into two, making forty decants of 2.5 mls and thereby doubling our profit? But wait, there's more! Now we could divide the decants once again, to produce 1.25 ml decants, doubling our profit yet again. If we follow this process to its logical limit we will find that we will never exhaust the number of decants—and hence amount of money—which we can squeeze from this single bottle. Ingenious, indeed! What does this example show? That the decanter's bottle can never be emptied, because in order to remove a decant we must first remove two decants of half of the size of the original decant. But the same is true of the second, smaller decant, and the same is true of the third, and the fourth, and the fifth. I think that you can see clearly now where all of this is leading. Change is illusory. Why? Because this bottle of perfume will always remain full, no matter what we do. If it appears to be drained empty, that is only because we are deluded by imperfect nonbeing, the realm of mere appearances. Having vainly attempted to access True Being, I think that it's about time that we all returned to the realm of becoming. I LOVE IT! :D Thanks for the laugh and the thought provoking perfume ideas early in my day!